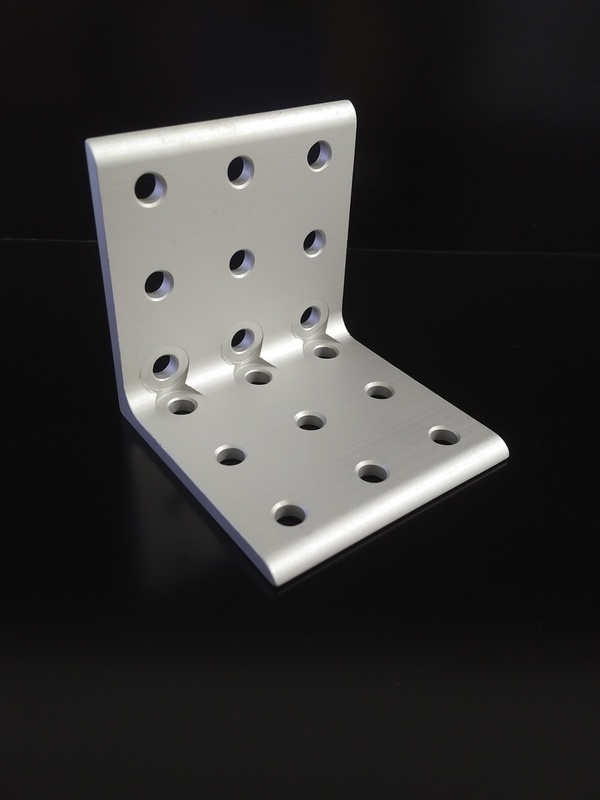 10 Series 18 Hole 90° Corner Bracket. The 10 hole joining plate creates a 90 degree connection between profiles within the same product type. This plate measures 4″ x 4″ and 3/16″ thick. The distance between the holes (Ø0.257) is 1.”.